Why would a father abduct his own child? A wedding is planned in Jane Ryland's family, but there's a calamity instead. Nine-year-old Gracie—supposed to be the flower girl—has been taken by her stepdad. Where are they? Is the girl in danger? 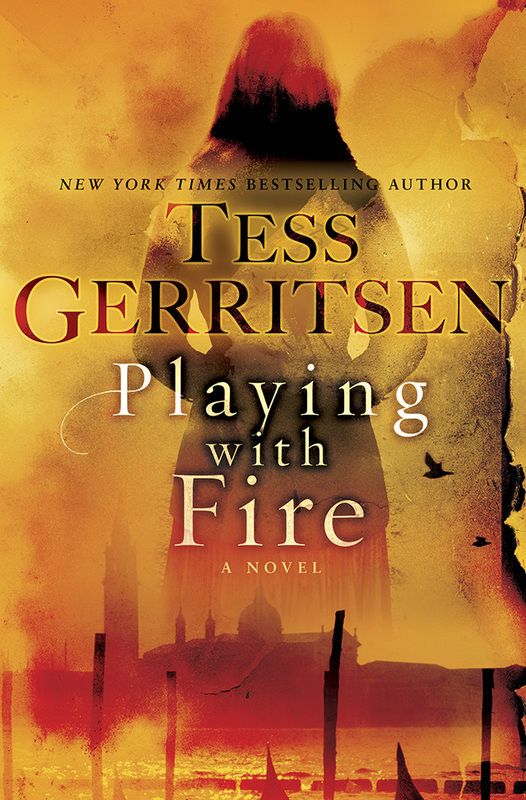 Reporter Jane Ryland learns there's a limit to the bonds of family—and learns to her peril what happens when loved ones are pushed too far. Meanwhile, Detective Jake Brogan's got a doozy of a case. At Boston's historic Faneuil Hall, a man is stabbed to death in front of a crowd of tourists snapping photos of the murder on their cell phones. Solving the case should be easy, but the pictures and surveillance video lead to a dark conspiracy of extortion and stolen lives. In her newest ripped from her own headlines thriller, Ryan explores the terrifying realities of today's constant surveillance and the dire consequences to those unwittingly in the spotlight. 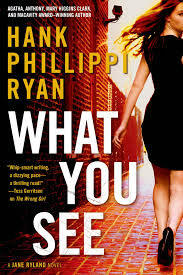 WHAT YOU SEE puts Jane and Jake face to face with deception, intrigue, and—if they make the wrong decisions—disaster. 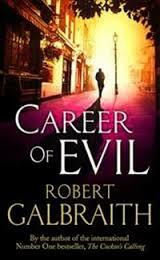 As a major Harry Potter fan, I, like many fans, wondered at J.K. Rowlings' foray into crime/mystery writing as Robert Galbraith. I can say with no hesitation that I am an equally enthusiastic fan of these Cormoran Strike books. 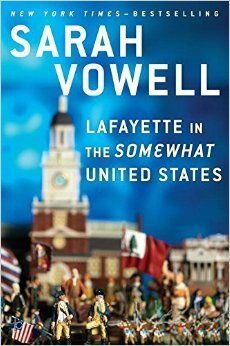 Sarah Vowell's books are how history should be taught. She ferrets out the underbelly of people and events, and she narrates the findings in a witty, engaging voice. Her book revealing much of the ugliness of America's role in acquiring Hawaii, Unfamiliar Fishes, is one of my favorite books. 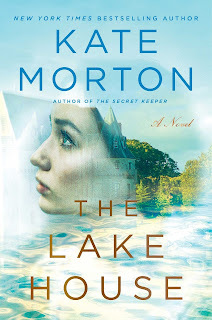 Kate Morton has amazed us with her previous blockbuster hits full of family secrets and the past coming to play in the future. The Lake House promises to be just as intriguing, and it's largely set in one of my favorite setting of Cornwall. 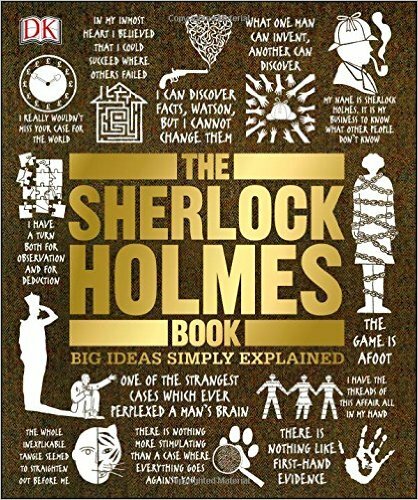 The Sherlock Holmes Book, the latest in DK's award-winning Big Ideas Simply Explained series, tackles the most "elementary" of subjects — the world of Sherlock Holmes, as told by Sir Arthur Conan Doyle. The Sherlock Holmes Book is packed with witty illustrations, clear graphics, and memorable quotes that make it the perfect Sherlock Holmes guide, covering every case of the world's greatest detective, from A Study in Scarlet to The Adventure of Shoscombe Old Place, placing the stories in a wider context. 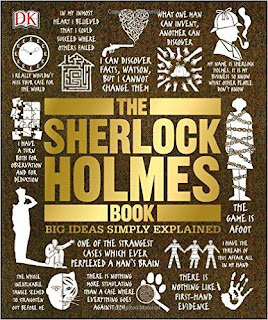 Stories include at-a-glance flowcharts that show how Holmes reaches his conclusions through deductive reasoning, and character guides provide handy reference for readers and an invaluable resource for fans of the Sherlock Holmes films and TV series. The Sherlock Holmes Book holds a magnifying glass to the world of Sir Arthur Conan Doyle's legendary detective. I've already starting delighting in this big book of Sherlock. For Sherlock fans, it's like a kid in a candy store, and with renowned Sherlockian Les Klinger's foreward, it's especially thrilling. 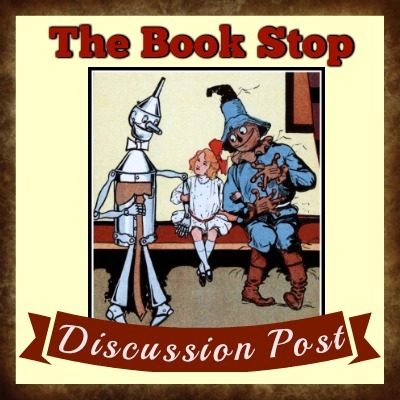 I'll be including Les' Oct. 15th publication of In the Shadow of Edgar Allan Poe in my Halloween post this weekend. 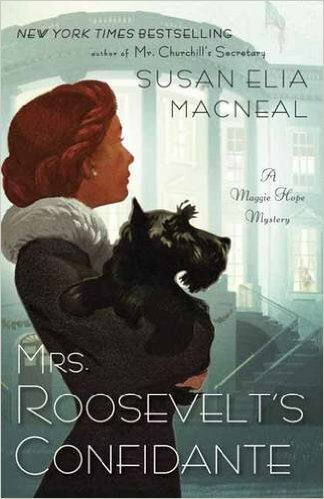 Fifth in the Maggie Hope series, Mrs. Roosevelt's Confidante has been long awaited by me. Nobody does historical fiction mystery better than Susan Elia MacNeal. 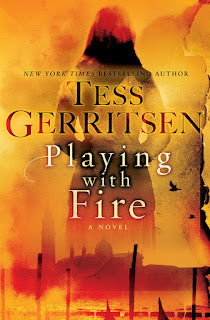 Playing with Fire is a stand-alone novel from Tess Gerritsen. 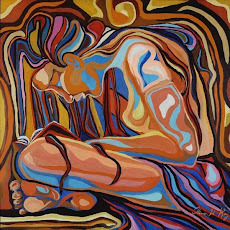 Her stand-alones are absolutely as fascinating as her long-running series Rizzoli and Isles. 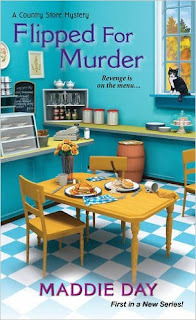 Flipped for Murder is the first in the new Country Store series by Maddie Day. Maddie also writes as Edith Maxwell.